With June at its midpoint, the Supreme Court’s verdict on the constitutionality of the Patient Protection and Affordable Care Act—known more commonly as “Obamacare”—may come any day now. Among those who cherish liberty and limited federal power, hopes are high that the court will find the Constitution gives no power to Congress to compel individual citizens to purchase any product—in this case, health insurance. However, if the Supreme Court merely overturns the insurance mandate—even if it tosses out the entire legislation that was wrapped around it—it will fall short of its duty, missing an opportunity to correct a previous high court decision that has been as disastrous in its effects at it was flawed in its logic. Specifically, the court should abandon its decision in Wickard v Filburn—and with it, the notion that the Constitution’s Commerce Clause gives the federal government authority to usurp state power and intrude upon nearly every aspect of American life. The 10th Amendment, enacted to limit federal power, concisely reads: “The powers not delegated to the United States by the Constitution, nor prohibited by it to the States, are reserved to the States respectively, or to the people.” In other words, the federal government cannot assert any power or claim any responsibility not specifically given to it by the Constitution. Given those constraints, how is it that the federal government has its clumsy hands in so many endeavors never mentioned in the Constitution—from subsidizing home mortgages (and inflating the housing bubble) to funding elementary education (and unleashing No Child Left Behind) to “investing” in green energy (by guaranteeing loans to ill-fated solar panel businesses) and meddling in agriculture markets (by paying farmers—and even non-farmers—to not grow crops)? Much of the federal government’s current sprawl can be traced to 1942’s Wickard v Filburn and its excessively creative and expansive interpretation of the Constitution’s Commerce Clause. That clause, found in Article 1, grants the federal government the power “to regulate Commerce with foreign Nations, and among the several States, and with the Indian Tribes.” While historical context makes it clear the clause was meant to aid the federal government in promoting free trade among the newly united states, Wickard v Filburn embraced a far broader definition of “commerce” that asserts a federal role in essentially any economic activity—even that of a single individual. Wickard v Filburn centered on the Agriculture Adjustment Act of 1938, which imposed federal limits on the production of wheat. Roscoe Filburn, a small-scale Ohio farmer, dared to grow more food on his own private land than what the government allowed. 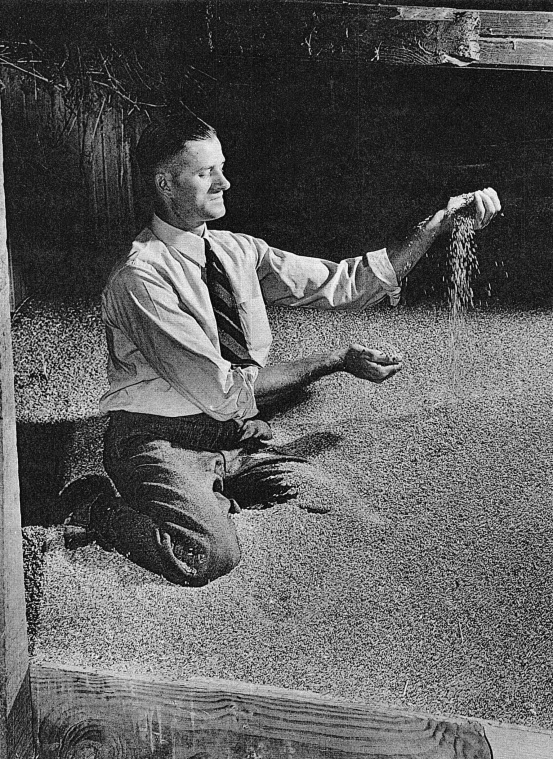 It’s important to note that, while the federal limits were aimed at bolstering the national price of wheat, Filburn’s extra wheat was grown for his own use for feeding animals, future planting, and to provide food to his family. Regardless, the federal government fined him $117.11—the equivalent of more than $1,800 today. Filburn refused to pay and the ensuing battle was elevated to the Supreme Court. To side with the government, the court would have to somehow construe Filburn’s growing of wheat for his own consumption—on the mere 12 acres that exceeded his quota—as having a substantial effect on interstate commerce. Regrettably, the court did just that, reasoning that, by growing his own wheat, Filburn would purchase less in the market. And though Filburn’s individual activity couldn’t materially affect the national wheat market, the court further reasoned that the aggregation of such individual actions could theoretically have a substantial effect on interstate commerce—and with that, the court reinforced federal authority to punish individual citizens for planting food on their own property. If only the court’s Constitutional damage were confined to this one atrocity. Unfortunately, Wickard v Filburn opened a Pandora’s box, licensing federal authorities and the judiciary to use similarly creative thinking to conjure “interstate commerce” connections and thus justify federal impositions of all stripes. 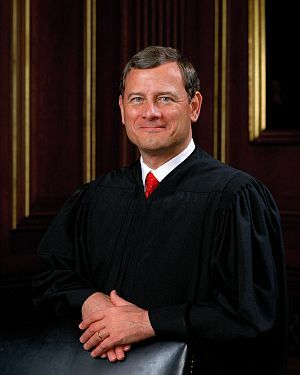 Dissenting in a 2005 decision (Gonzales v Raich) that took Wickard’s flawed Commerce Clause logic to new depths, Justice Clarence Thomas said, “If the majority is to be taken seriously, the federal government may now regulate quilting bees, clothes drives, and potluck suppers throughout the 50 states. This makes a mockery of Madison’s assurance…that the ‘powers delegated’ to the Federal Government are ‘few and defined,’ while those of the States are ‘numerous and indefinite.’ ” Perversely, what was once written with the intent of limiting federal power is now used to justify its relentless expansion. United States v Lopez, 1994. A Congressional ban of gun possession within a thousand feet of a school was deemed unconstitutional. The court wasn’t persuaded by the government’s argument that violence in and around schools could undermine the education system and thus the American economy. United States v Morrison, 2000. The court struck down provisions of the Violence Against Women Act, despite the government’s claim that such violence has broad economic implications. Opposing the federal position in these cases does not make one a supporter of schoolyard gunfights or violence against women. Rather, it makes one a champion of our founders’ design of a governing arrangement that purposefully granted more responsibilities to the states than to the federal government—thus guarding the American people from excessive, centralized authority. With our federal government borrowing 41 cents for every dollar it spent last month, a Supreme Court-prompted return to our Constitutional principles and a far slimmer federal apparatus may very well be the salvation of our republic. While Lopez and Morrison slowed the runaway Commerce Clause train, it’s time for the Supreme Court to abandon Wickard and derail it altogether. Recommended reading: In this amicus curiae brief, Senator Rand Paul examines the flawed logic of Wickard and urges the Supreme Court to use the health care case as an opportunity to abandon the decision.